Wottaread - Page 2 of 14 - Ready to read? This children’s fantasy story was published on 16 October, 1950. 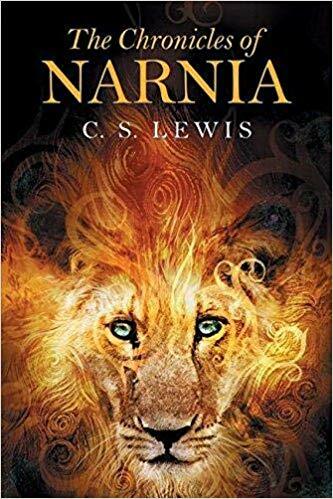 This is the first book and the best known in The Chronicles of Narnia series. This is the story that began the journey of Peter, Susan, Edmund, and Lucy Pevensie against the Evil Witch in the world of Narnia. This novel has an approximate sales number of $85 million dollars, becoming so one of the best selling books of fantasy. What about you, fancy entering the wardrobe? also, if you are looking for books for children here you have some book suggestions for kids. The first work by the author J.R.R Tolkien was published on 21 September, 1937 and after that came The Lord of The Rings. This novel tells the story of Bilbo Baggins, a hobbit who will embark on a journey he never expected along with dwarfs and the wizard Gandalf. The Hobbit has sold more than $100 million. Who would have said that what started being a story for kids became the reason Fantasy is the way we know it these days? As a result, Tolkien became the father of modern fantasy, here is how: This is how Tolkien influenced fantasy. Also known as Harry Potter and the Sorcerer’s stone. This is where Harry Potter’s life as a wizard begins, when being eleven years old he receives The Hogwarts letter to Hogwarts School of Witchcraft and Wizardry. J.K Rowling’s work became a success, and its first novel was published on 26 June, 1997. Let’s hope we revive that feeling with the upcoming Harry Potter rpg videogame. The sales of this novel are approximately around $120 million dollars. 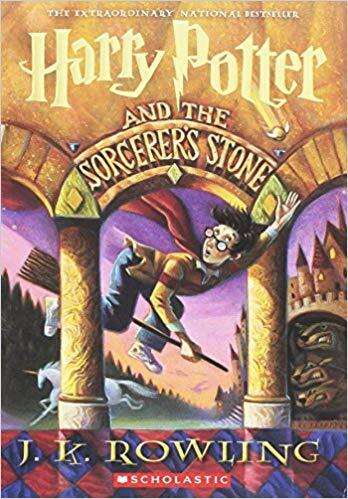 For those missing the magic and the fun, here are some books similar to Harry Potter. This epic high fantasy novel was published on 29 July, 1954. 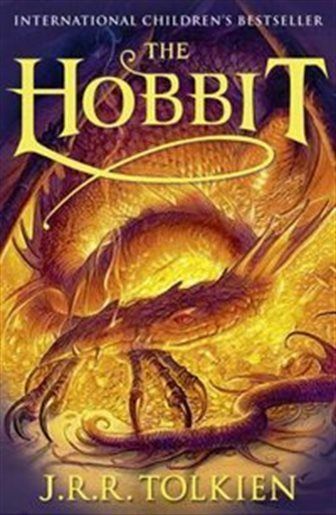 This novel is the sequel of The Hobbit, but it eventually became a much more significant and notorious work than its prequel. For those wondering, yes, The Lord of The Rings is a single novel. 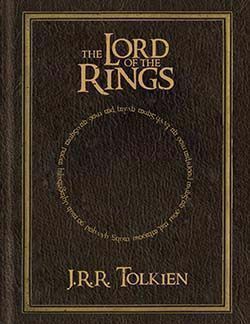 The fellowship of the ring, The two towers and The return of the king are the three volumes that comprise this book. The approximate sales of this novel are $ 150 million. Ey, fans of LOTR, did you know about the upcoming Amazon Lord of the Rings tv series? Which is the best selling fantasy book of all time? So, it turns out not even The Lord of The Rings or any of Harry Potter’s books is the best selling fantasy book of all time. Even so, it seems that wasn’t’ an obstacle to be included in the highest grossing fantasy films in history. 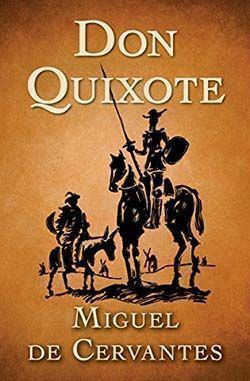 The estimated sales of Don Quixote’s book amount approximately $500 million. Hope you enjoyed this article, did you expect these novels to make the list? 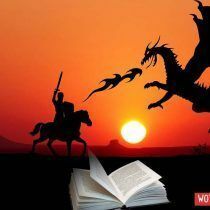 Which novel did you expect to be the top selling fantasy novel of all time? Hello Wottareaders! You want to start a new series but don’t know which fantasy saga read next? here you have a fun quiz to know the answer. You only have to answer these 11 questions and let Wottaread make the choice for you. 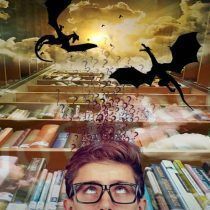 This quiz has more than 25 book sagas to choose, so you will surely find that next saga you have been waiting for. Want to start reading? then, click and go! your next novel awaits! Didn’t like the chosen fantasy saga? then you can make the quiz once again! just a quick tip: the less “I don’t mind” answers the better, since more parameters will be taken into account! Great news for all the fans of Jon Abercrombie and his high fantasy saga The First Law. His new book, a Little Hatred, will be released later this same year 2019. What is A Little Hatred about? 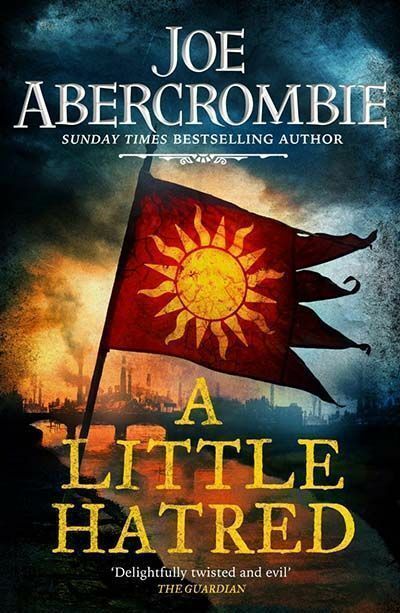 A Little Hatred is the first volume of a new trilogy set in the same world as Abercrombie’s acclaimed saga The First Law. This upcoming trilogy is known as The Age of Madness, and the first novel, A Little Hatred, will take place 20 years after the original saga. Luckily for all the fans, this new trilogy will have new characters but at the same time, old faces will make their appearance in this new story. Seems it’s time for machines to awaken. The book cover has already been revealed as the author published it on his website (see here). As you might have realized this book cover is quite different from the style used in both his saga and Stand-alone novels which showed a parchment cover. Do you like this new style? As the author himself states, seems that this format could not be developed further. Instead, they decided to move on and show a cover that relates more to this book’s premise: an industrial age. 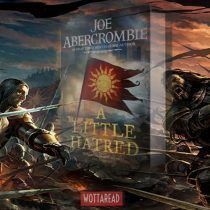 As Joe Abercrombie stated on both his Twitter account and his website, A Little Hatred will be published in the UK on September 19th. Regarding the novels that follow a Little Hatred, which are The Trouble of Peace and The Beautiful Machine, those will be published in 2020 and 2021 respectively. Want to start reading The First Law? If you want to start reading this series and you don’t know which novel to begin with, taking a look at this article is all you need: How to read The First Law series. Either you are a fan or not of this series hope you are glad about this news! if you didn’t know about this series you can start reading them before this new book gets published. You still got time! 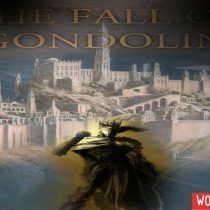 The Fall of Gondolin is the latest book posthumously published by the author J.R.R Tolkien, all thanks to his son, Christopher Tolkien who edited this novel as he has done with other previous works such as The Silmarillion. Actually, The Fall of Gondolin is one of the tales included in The Silmarillion, and therefore being one of the Lost Tales it was also included in Unfinished Tales of Númenor and Middle-earth collection stories. This time, however, it is published as a stand-alone novel and even though the essential story is the same, in this version it is more detailed and also the book comes with Alan Lee’s illustrations. What is the Fall of Gondolin about? The novel’s title summarizes pretty well that this novel is about. This book narrates the story of the secret elven city of Gondolin which lays in the middle of a conflict of the forces of light, lead by the powerful Vala named Ulmo, and the forces of evil lead by Morgoth (also known as Melkor). Morgoth is the first Dark Lord, a title given only to the two most powerful overlords in the Middle Earth, being Sauron the second to be granted such an honorable title. Just so you understand the epicness of the story, Sauron was a mere servant of Morgoth. Such was the power of the first Dark Lord, whose desire was to lord over the First Age of the Middle Earth. Do I need to read previous Tolkien works in order to read The Fall of Gondolin? Given that this book is set in the same universe as The Lord of the Rings, reading the previous works by the author like The Hobbit and the three novels comprising LOTR would be recommended. Nonetheless, this story takes place in a different Era and in a different location than the original saga, so having read LOTR is not a must. Well, reading The Lord of The rings should be a must for everyone who likes to read in general, but you know what I mean. When will the Fall of Gondolin be published? This book was published on 30 August 2018 so it is already available for you to purchase and read. Here you can purchase it on Amazon. J.R.R Tolkien is the reason the genre of fantasy is the way it is in our days. He is the father of modern fantasy, somehow setting the rules of the high fantasy subgenre. For those who want to know more about Tolkien’s influence here you have article This is how Tolkien influenced the fantasy genre. Hello Wottareaders! Not long time ago I wrote about The Lord of the rings tv series produced by Amazon, another fantasy series is being produced by Amazon Studios: The Wheel of Time series by Robert Jordan. In this post, I will collect and update regularly all the info regarding The Wheel of Time tv series. This tv series is based on Robert’s Jordan work of the same name, the author sadly passed away due to a heart disease leaving the series incomplete. However, Brandon Sanderson (notorious writer and fan of TWOT series) concluded this saga in 2013 using the notes Robert Jordan prepared so another writer could complete his work. The first season will be based on the first book of the series, The Eye of the World, this is a 13 volume saga (14 with the prequel volume, New Spring) so there is a lot of material to adapt in the tv series. The Wheel of Time production will start in September 2019 and it will be set on Prague as you can check on Productionweekly. The Czech Republic, located in Central Europe bordering Germany and Austria, has great filming locations that would fit perfectly with the medieval tone this book series has. Some examples of fitting locations would be the gothic style of the Karlstein castle (or Karlštejn Castle) located at the southwest of Prague or the gothic cathedral in Pilsen. Since this series is still on production no official trailers have been released yet. You will only fake or fan-made trailers on youtube and other video websites. However, Rafe Judkins provided the names of some of the episodes. You can check a list of the episodes here. The casting of this series still remains as a secret. However, Rafe Judkins (check his IMDB here) is confirmed to be the head writer along as an executive producer and showrunner. You might already know his name if you are a fan of Agents of Shield since he is the supervising producer of that series. Rafe Judkins is an active Twitter user, in which he shares a lot of info about TWOT series such as snippets of the script or the names of some of the first season chapters. 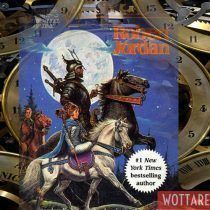 Since the tv series will not start filming until September 2019 The Wheel of time tv series is expected to come out in late 2020. The debut date is not yet confirmed. Stay tuned for more news about this upcoming tv series!